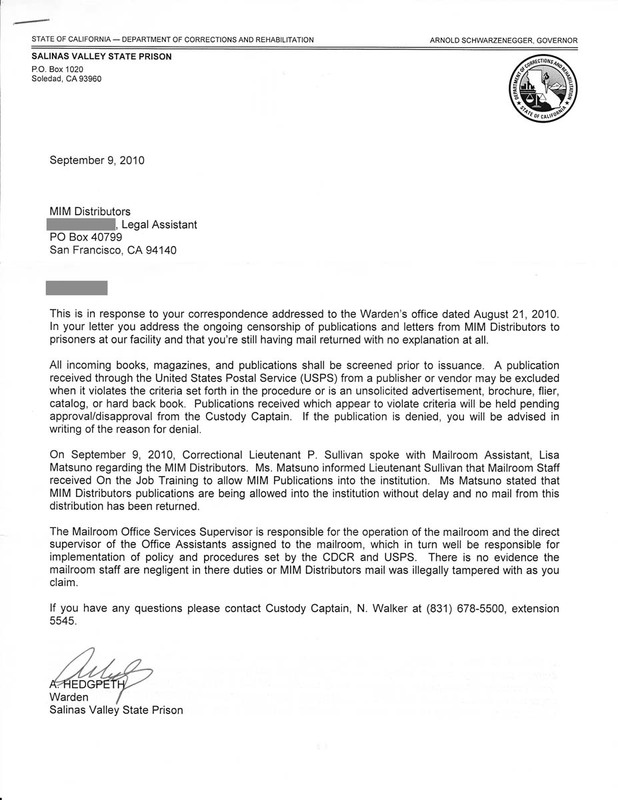 08/21/2010 MIM(Prisons) to Warden: Staff is no longer temporary, why is your mailroom still banning MIM? On 8 March 2010, I sent you a letter inquiring about the ongoing censorship of publications and letters from MIM Distributors to prisoners at your facility. 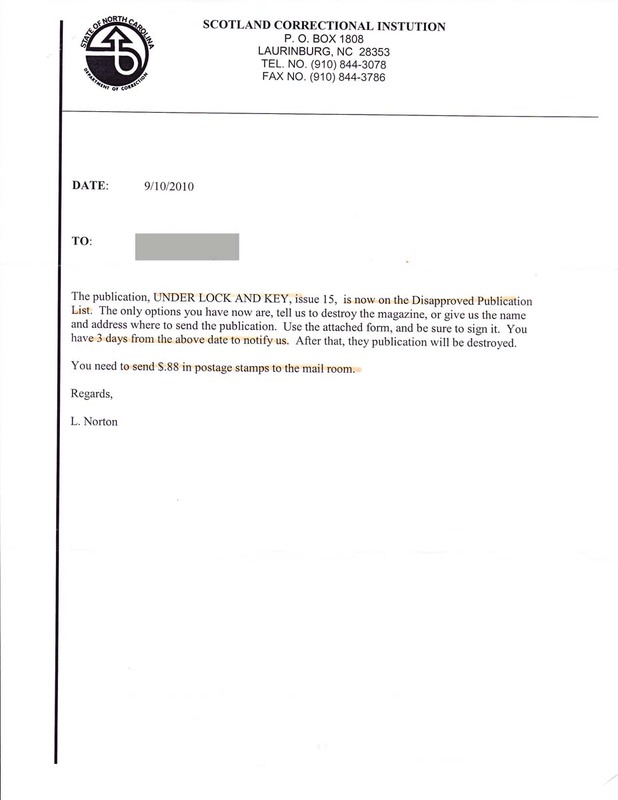 On 23 March 2010, you wrote that there was temporary staff in the mailroom, and were not trained how to properly handle mail from MIM Distributors and the censorship may have been their error. 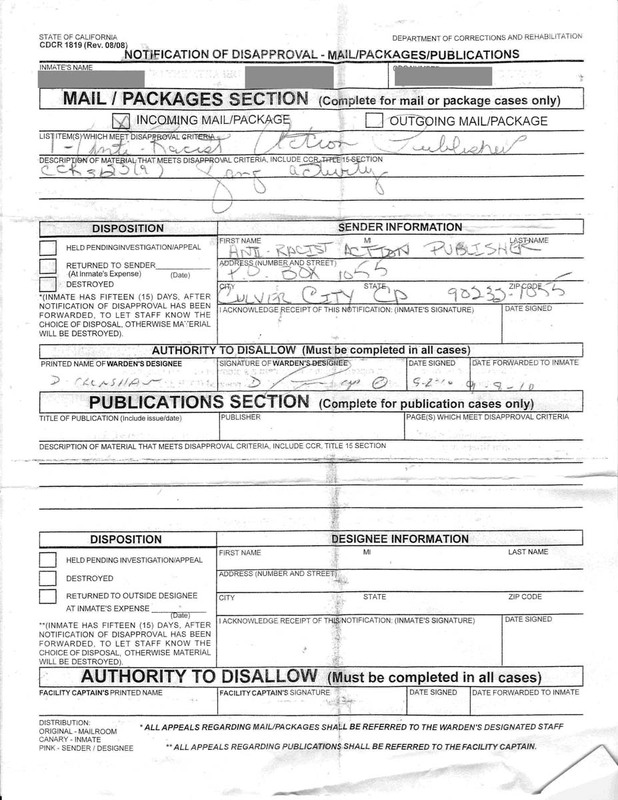 You also wrote that the mailroom staff was retrained to allow mail from MIM Distributors, per law and the PLN/CDCR settlement. 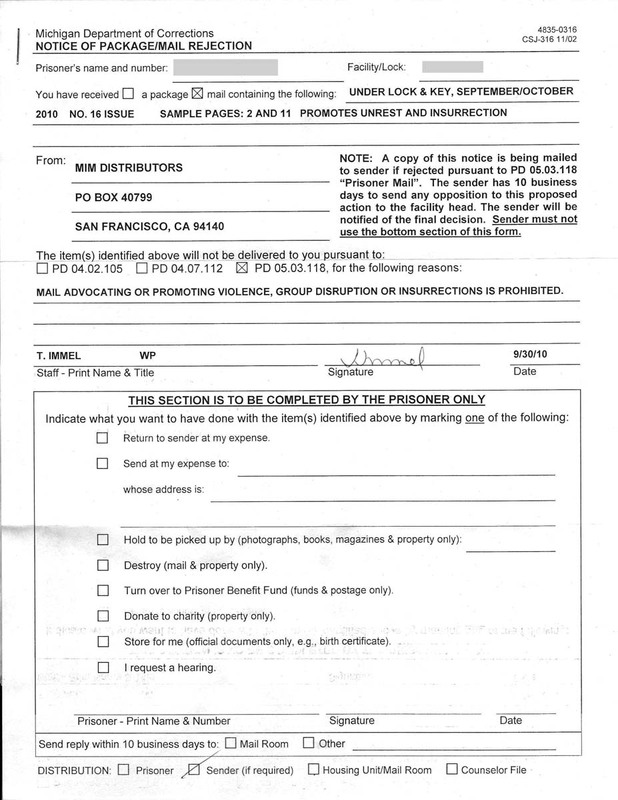 One item being subjected to a blanket censorship is an informational letter about how to fight censorship of mail, which advocates filing appeals, keeping records, and taking the case to court if necessary. 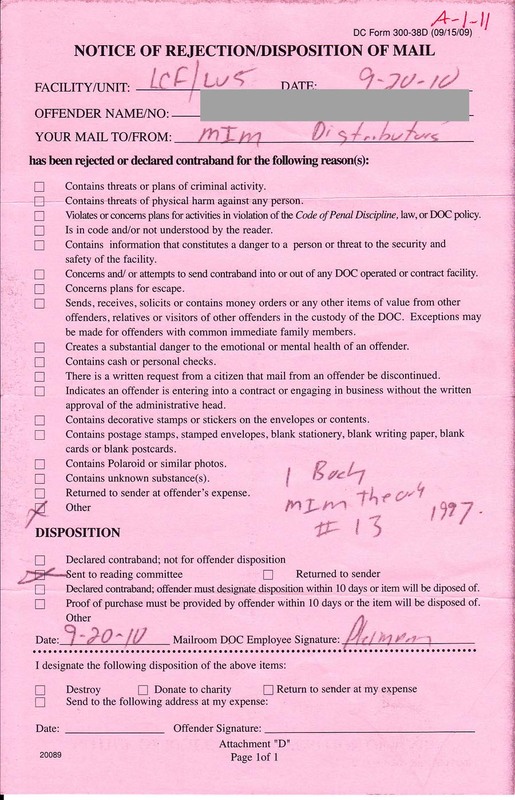 This was sent in to several prisoners at your facility in March along with the 8 March 2010 letter that I sent you (with any prisoner-identifying information removed). There are no grounds that this letter could have been censored on, which is probably why the mailroom staff returned it to us without giving a reason. 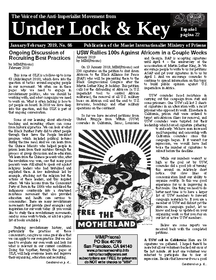 This letter is to (1) ask again why Under Lock & Key and informational letters from MIM Distributors are being banned from Salinas Valley State Prison, (2) request an immediate, accurate, and thorough retraining of the mailroom staff in how to legally handle mail from MIM Distributors, (3) enforcement of the law in handling mail by the upper management and administrative staff of your facility, and (4) the immediate end of illegal tampering with mail from MIM Distributors. We appreciate your expedience in this matter and hope that it doesn't need to become more complicated by a lawsuit.